You've got questions! PreCentral.net has answer! Below, we go question by question from our gigantic Pre Forum Questions thread from the TreoCentral Pre Forum. This is Part 3 of 3 (We got 'em done in 3 parts, not 4). Don't miss Part 1 and Part 2 of our Palm Pre Answers! Any word if Sling software will be made for this? I'm hoping it can be but they haven't made it for the iphone or G1&3 yet that I know of. I've seen a few questions about Word & Excel, but what about Outlook? No word from Sling yet -- but in theory I think it would be pretty difficult without deeper-level access to the OS than Mojo will provide. Full Outlook syncing will be available -- ove the air. Voice dial/control like the Centro and other current phones (not including the iPhone!) so it's usable in a car? Audio formats didn't list FLAC! They should really support this. Can it be added by 3rd party? I'm using CorePlayer for this now. Car cradle with wireless charging would be great! How long is Sprint exclusive (i.e - when can I get it on Verizon)? Unclear if there will be voice dialing, but there may not be at launch as they didn't show it off. WRT FLAC - I suppose it ought, but I'm guessing Palm didn't make it a priority because it's such a little-used standard (ducks). I don't see any reason in principle that a Touchstone-for-the-car couldn't be created. Heck, I'd love to build one into my dashboard! We have no idea on the length of the Sprint exclusive, but these things typically come in 3 month increments -- 3, 6, 9, 12. My money is on 6, but that's just a guess. So my question is does the Pre's underlying Linux based OS allow for other USB module support. besides USB Mass Storage so that we can add other USB devices such as an USB UIRT allowing us to beam to a legacy palm device. So far as I know, USB Mass Storage is it. Do you have to have a data plan? That qestion applies more to a GSM system (assuming there will be a GSM Pre. There will be a GSM Pre, but without knowing if and which carriers are going to pick it up, it's tough to say. On Sprint, I'm still betting that it will require the Simpy Everything plan. How one handed is this phone? Everybody demonstrating it seemed to be using two hands and I'm not sure if that was for stability and filming vs the phone not being something that could be operated completed and totaly one handed. Can all of the swooshes, zooms, etc be done one handed? One-handed use is great, though you'll need two hands when the keyboard is open and you want to reach the upper-parts of the screen (unless you have sasquatch-hands and/or Nosferatu-hands. I'm in the latter camp, so I'm set). Can you please detail how alerts work? Will we get a persistent alert for missed calls, SMS, etc.? How about ringtones? Can you use any song for a ringtone? How about a pic of the screen that comes up when you turn on the phone..will it display appointments, etc. and can it be customized? Yep, I may need to write up a full article on the alerts system, because it really is best in the business, better even in my mind than Android's system. Good lord, you had better be able to use MP3s as ringtones. The screen looks to default to whatever the last app you were using is, similar to the default PalmOS behavior. That *is* one thing the Pre is missing, a good "Today Screen" solution. There are hacky workarounds to this such as obfuscation and encryption, but are usually defeatable. I assume there is something in place, but without it, developers will avoid WebOS like the plague unless they want to give it away. Agreed 100%: a totally basic question that I have no answer to -- it does seem as though there could be a significant risk in that regard. I do wonder if it's possible to make these apps into quasi-binaries of some sort, but my feeling is similar to yours -- the solution may be defeatable. The launch screen that comes up with a slide up jesture shows 12 icons. How many of those screens would be allowed? For example max of 5 screens, for 60 items? Actually, the way the launcher works is similar to Android, you can pull up your apps with a 'long swipe' from the bottom and they appear in a long list, so there should be no limit on the number of apps you have installed except for storage space. Heya, I know it might be late, but I'm just curious....SOUND QUALITY! Mostly like to use the speakerphone to play music and podcasts. If its good like the 755P I'm happy speaker, I'm happy Ohhh and with sounds on mine, does it make audible alerts when alerts happen? On the keynote, it doesn't seem to do that. If your not watching the screen (like when your sleeping), you might miss something. Is there a flashing LED for alerts without having to turn on the display? Or alert tones/vibration? Visual voicemail? Are the GPS maps stored on the Pre or downloaded when needed? Is there a voice dialing option? I love the google voice search on the iPhone. That would be incredible with the Pre system wide search. There is no LED, I don't beleive there is visual voicemail. Maps looks to be a combination of both TeleNav and Google Maps, which is to say they're network-based and not stored locally beyond caching. I don't believe there is any voice search functionality. Since the Pre's battery is rumored to be nearly identical to the Centro's, is the Touchstone charging executed in a way that would allow Palm to release a "Touchstone-Compatible" battery cover for the Centro, 800W, or Treo Pro? That capability could draw more attention to the rest of their lineup. Is there a screen lock feature w/ gesture to unlock? 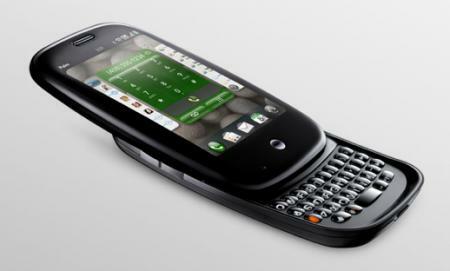 If so, did Palm incorporate the ability to always display time & date information like the Treo Pro screen lock? Any indication from Palm of future plans for corporate email and calendar compatibility w/ Lotus Notes? 3rd party? I believe there is a 2nd set of contacts underneath the battery door on the phone itself, not on the battery. The special battery cover for the Touchstone makes contact with those. They haven't mentioned anything, but the infrastructure they've built is able to talk to lots of different cloud-based systems and so I don't think there's any technicial limitation there. Just has to get done. I get that the calendar card aggregates data from multiple calendars. In the CES presentation, the demonstrator also added an entry directly on the Pre. What is the process for ensuring that synchs back up to the correct cloud calendar? The Pre appears to separate different sources into different colors, so depending on what category/color you make a new appointment, that's where it would sync back. Can you download from the web? I think we can since we can on the Treo but I like to be sure. I believe the only landscape-capable app is the browser. I'm sure that downloading will be fully supported. 1) Does this have some sort of visual voicemail app? 2) Does the facebook app allow you to chat, similar to the one on the iphone? 3) How does lock/unlocking the phone work? Is there a slide to unlock feature already on the phone or would that have to come later in an app? Nope. The facebook 'app' looks to just be a local implementation of the same thing iPhone users get when the visit facebook, namely the webkit-based webapp. Apologies, but I'm just not sure on the unlocking except that the only 2 ways to power on the device are the power button and/or sliding it open. How global is the search function? We saw it look at contacts and programs, then reach out to the web. Can we presume it will look at data in the memo application, too? Are there hooks to include data associated with 3rd party applications in the search? Does it look at all data, or just header/metadata? We know we can search by contact name. Can I do reverse phone lookups too? If I type in an word buried in a note, will it find that note, or does it only look at the note's title? That would be truly killer, but from what I saw the universal search is mainly for contact names and apps, I don't think it drills down into the actual content of your email, memos, etc. I think the Pre is a very good effort! Both valid concerns. Backward compatibility: nope, but there's a slim hope StyleTap will be able to work with Palm on an emulator. Battery life: we frankly just don't know. Will Pre have intelligent caching of "the cloud" so that I can view/edit calendars, contacts when out of cell/wireless coverage or on a plane? Like the commercials, my house is in a "dead zone"
Also, with no stylus, where will I keep my pen(-stylus)? I love that I always have a pen handy with my smartphone. I always lose stand-alone pens.. It should, yes -- the PIM apps are all local and have local storage, so Synergy is a sync solution, not just a front-end that pulls from the cloud every time you access your data. In other words, offline access should work just fine. How does phone call quality compare with other treo models? Is call volume sufficient (I remember the bad old days where a 3rd party app was needed to make the Treo 650 sufficiently loud). In the video demo by Peter (Skillman?) there were some long lags when switching between apps. This is one of the things I hate about my Treo 750. Please can you test this out and see if this is a problem? In particular, does the OS leak memory like Windows Mobile, meaning that eventually you have to take the battery out to clean up and get reasonable responsiveness back. Is there any built in emulator that will allow us to continue to run old PalmOS apps (like apple did when migrating from OS9 to OS-X)? Is it able to create dial tones from the keyboard accurately (e.g. for voicemail and other automated systems)? The 750 was terribly unreliable in this respect? How easy is it use other applications while in the middle of a phone call? E.g. can you easily get into the contacts whilst in the middle of a call? Is there any support in the phone application for using international calling cards? (e.g. Allow you to define a local access number to dial first before making an international call, then after successful connection (and potentially some pauses, and pin numbers), dial the phone number assigned to the international contact). I suggested this feature to Peter Skillman about 5 years ago, but I have never seen it implemented. P.S. I would have loved it if the Pre opening mechanism was spring-loaded like that Nokia 8810 cell phone from The Matrix - how cool would that be! Tsk, I'm not sure I can answer any of these questions, though for 6 you should be able to get full access to the card view while in a call -- the webOS is a full multitasking OS. As for the lag, I'm hoping that much of that will go away once it's in full production, but we won't really know until it's out. Any talks regarding software compatibility with Vista 64? The current Palm software doesn't support it. With more and more desktops having more than 3gb or RAM, Vista 64 should be a no-brainer; but I'm always suprised when buying a new Tech product that doesn't support it. There's no desktop software at all, just USB storage mode. Everything is done through the cloud. We'll have more on this soon. Lotus Notes is popular in the corporate environment. Is there any indication of how the Pre can access Lotus Notes email, contacts, calendar, to-do, and corporate email listing? Lotus Notes also has it's own IM client called Sametime. Will there be any Palm or third party support for any of this? Not at launch, but again I see no technical limitation preventing it and indeed, the infrastructure behind Synergy seems more than robust enough to handle Lotus Notes. For messaging, are you given options to reply and/or forward a message? What is this "cloud?" How do I go about syncing information to it? And, will it require a data plan? I'm from overseas so I don't know anything about US carriers and their rates. We only have GSM here. Are there any indicator lights, like say when you have a signal as opposed to no? Also for charging? How likely is it that the GSM version will be quad-band? Is there native support for MP3 alert tones? Is there native voice recording and voice command? That's all I have, thanks and great job!!! I'm not sure about fowarding SMS, but in email it will of course be supported. Repling, naturally, is not a problem. We're going to get into this "cloud" stuff later this week -- but the short answer is "services on the internet" and yes, you'll definitely want a data plan for it. There are no indicator lights that I'm aware of. There's a service for hard-of-hearing folks, where we can speak and listen to the phone, and an operator processes the other person's voice so we can read it over the web. (uses specialized voice recognition software) It's called WebCapTel. Sprint is one of the providers. (http://www.sprintcaptel.com) So far this is mostly used over the regular internet. Users of the iPhone 3G are now able to use this service with a headset jack. They can talk/listen on the phone, and read the captions. The requirements I've seen include having an AJAX compatible browser, and of course you need to be able to use voice and data at the same time. Will the Pre be able to do this? Excellent question! The browser in the webOS is, so far as I can tell, at least as capable as the iPhones, perhaps more so. I strongly suspect this will work out of the box, but I can't say positively. My question with all this merging of info and intuitiveness. I use Agendus and like how it links my appointments with my contacts so I can see all the appointments, calls, tasks and what not that I've had for a specific contact. Will there be that kind of synergy in the Pre PIM? For a sales rep, it can be an invaluable tool. I don't believe that contacts, calendar, and calls are that deeply inter-linked, but Palm may be providing enough hooks in Mojo to allow for a 3rd party developer to create that functionality. We just can't know until launch.